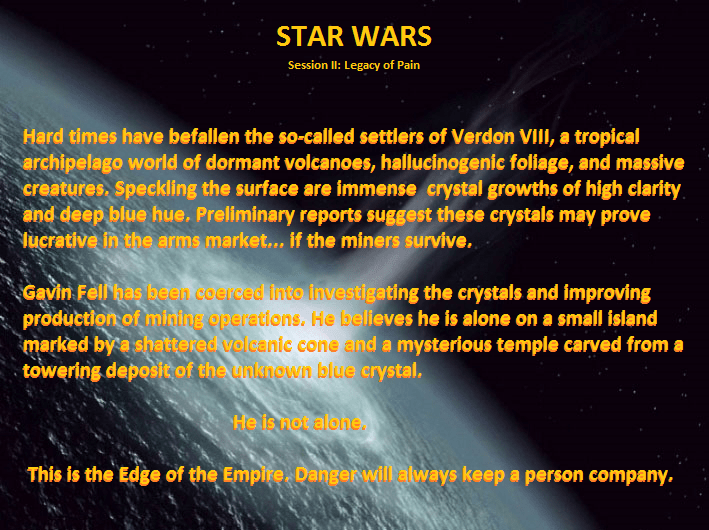 Gavin Fell (played by Andre) – an out of condition Alderaanian pilot who was investigating the moon of Verdan VII, owner of a battered and decrepit YT class freighter. Zero (played by David) – a rodian big game hunter who had arrived on the planet with his IG-100 bodyguard droid Iggy (played by myself) to hunt big game, but our ship had been trashed. Tide – a medic who had been forced to work as a slave on the planet mining a strange energy absorbing/amplifying crystal whom had joined Zero and Iggy in their search for a way off world. The game was great fun and saw a lot of use of people spending advantages to help their team-mates; this was a great thing to see and I’m hoping it’s something I can take forward for my own Terror on the Outer Rim Edge of the Empire game. 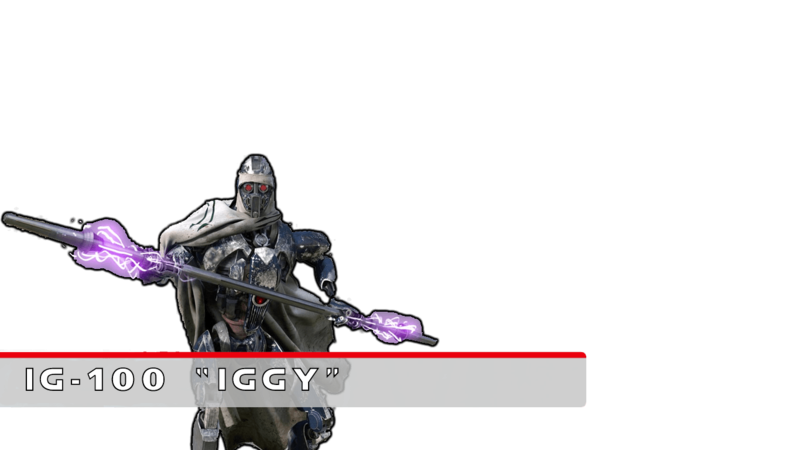 For anyone who is interested, the character sheet I used for “Iggy” IG-100 can be accessed in PDF format by clicking here. Great game, thoroughly enjoyed it; I used Voxal voice software to change my voice to a droid sounding voice when I spoke which seemed to work okay and I hope added something to the game. This entry was posted in Uncategorized and tagged droid, Edge of Empire, Edge of the Empire, Foggy Horizon, Gavin Fell, IG-100, Iggy, khyber crystal, Runeslinger, Star Wars, Starwars, Tide, video, videos, youtube, Zero by John Large. Bookmark the permalink.